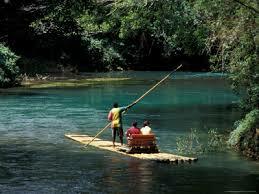 Tour from Negril to Martha Brae Rafting (Round trip). This is a private tour, rafting cost is $60.us per Raft, each raft fits 2 people with 2kids the max. Drive time, one way 1 hr 20mins.